Hi stampers! Get ready for some fabulous inspiration as the Creative Team have some beautiful projects to share with you today using the new Wooden Frame Stamp! I started with a white card base with a rectangle cut open to display the flowers inside and out. Cut cardbase from white cardstock. Cut opening in center. 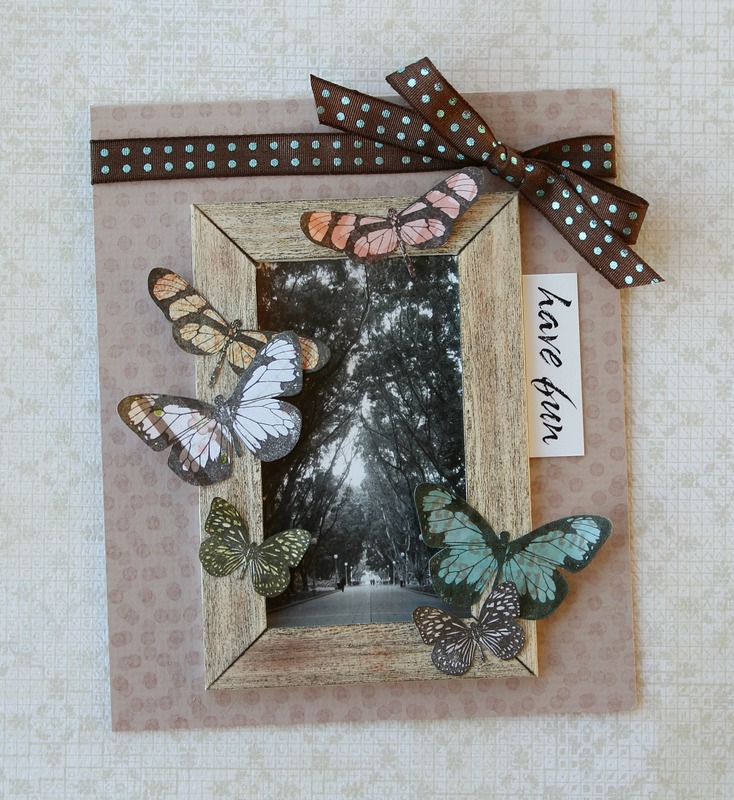 Stamp wood frame using brown ink. Cut out frame. Smear edges with black edges. Foam a small amount of shaving cream on acetate or craft mat surface. Spritz randomly Dylusions pink and yellow spray into shaving cream. Using a plastic ruler smear the shaving cream and mix together the spray. Place white cardstock into shaving cream mixture. Pull up and shave off excess shaving cream. I used my plastic ruler. Let dry. Stamp multiple flowers using black ink on shaving cream background. Cut out with detail scissors. Stamp butterflies from the Collage - Butterfly and Post stamp using black ink onto shaving cream background. Cut out with detail scissors. Cut piece of pattern paper (Pink Paislee - Hope Chest) for background. Cut opening to align with window. Distress edges of paper, cardbase and frame with brown dye ink. Pop dot frame and attach to patter paper. Stamp sentiment using black ink. Distress edges. Assemble card. Pop dot flower inside and and attach. 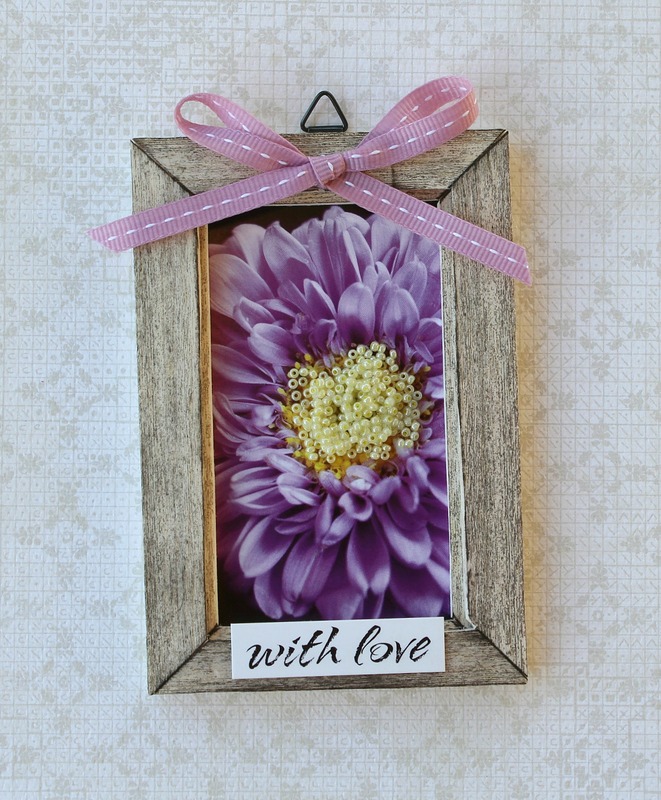 Attach flowers to frame. Attach flowers. I've made two projects to share with you - a card and a small hanging ornament which I think would look super tied to a present or even hung from a hook in your studio. 1. 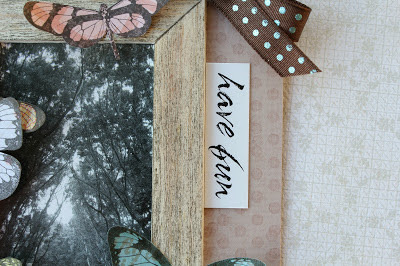 Stamp the Wooden frame on a piece of balsa wood using brown ink. Cut out the four sides individually with a craft knife. Ink the corner edges and reassemble the frame with glue. 2. Stamp the card front with the Dots background stamp. Overlap the impressions to create a unique pattern. 3. Affix a Sydney photochip to the back of the frame and attach it to the card. 4. 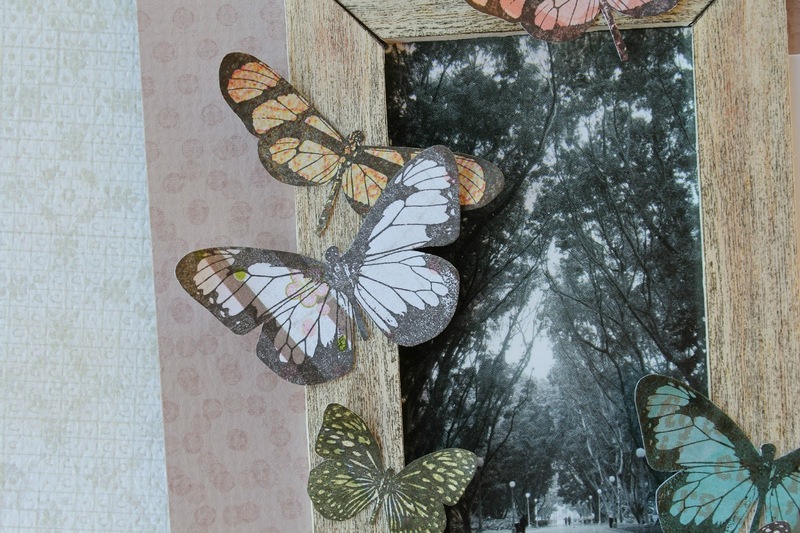 Stamp the Butterflies on scraps of patterned paper. Cut out and attach to the frame. 6. 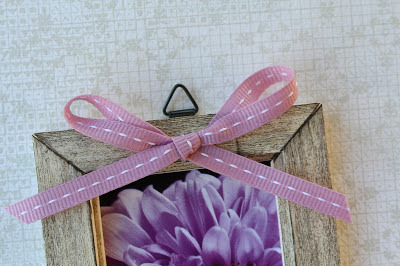 Finish with a ribbon bow and a Bright Blossoms wordstrip. 1. 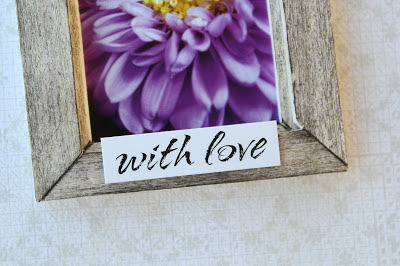 Stamp the Wooden frame twice on balsa wood using brown ink. Cut out the sides of the frames individually. Ink the corner edges and reassemble with glue. 2. Carefully trim about 2mm from the inside edge of one of the frames. Adhere the trimmed frame to the larger one. 3. Affix a Bright Blossom photochip to the back of the frame. 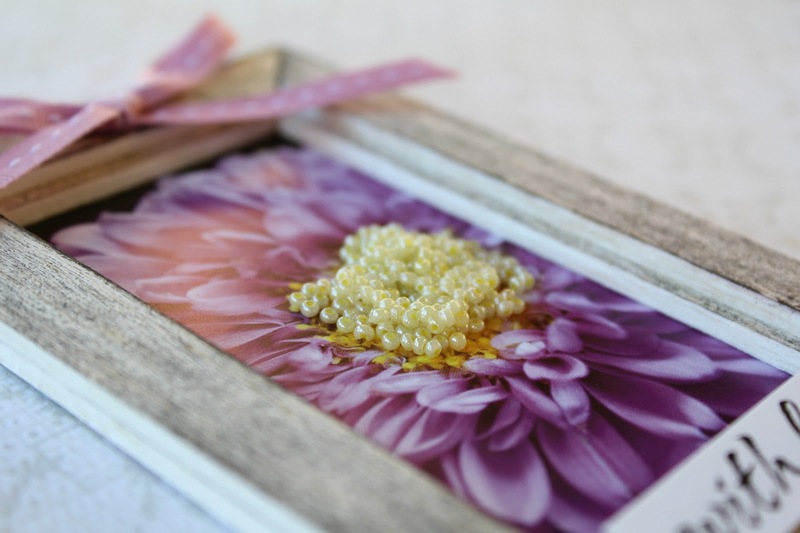 Fill the centre of the flower with glue and cover with seed beads. 4. Attach a ribbon bow and a Bright Blossoms wordstrip as shown. 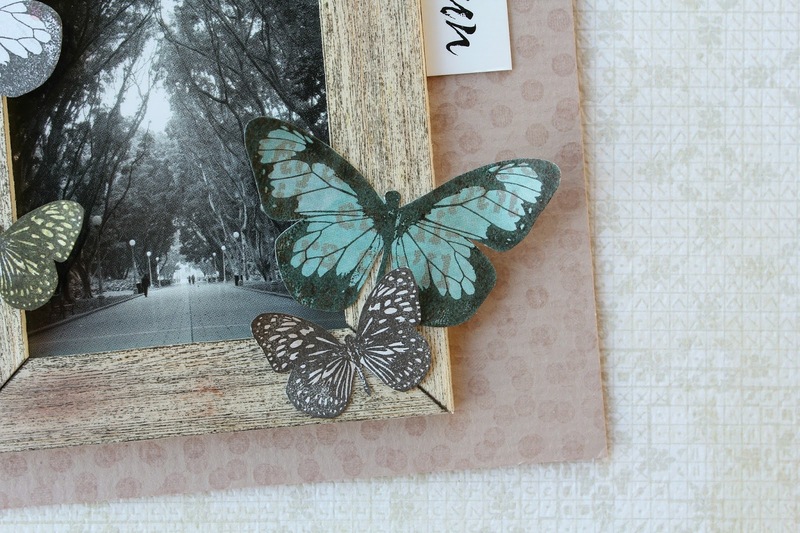 Details from Belinda: I applied the Wooden Frame Stamp onto white cardstock using an embossing ink and then heat set with Tim Holtz Distress Embossing Powder in Walnut Stain. This embossing powder gives a really rough 'distressed' finish so it actually feels a little like wood grain. I then applied some Antique Linen and Pickled Raspberry Distress Inks to add more colour to the frame. Next I stamped some foliage onto acetate and added to the back of the frame to create a window pane. Here's a few more tags created in the same manner. And Hels has also been busy with the Wooden Frame stamp! Check out these gorgeous projects!! I stamped the frame using Coffee Archival Ink and cut it out, including the centre. 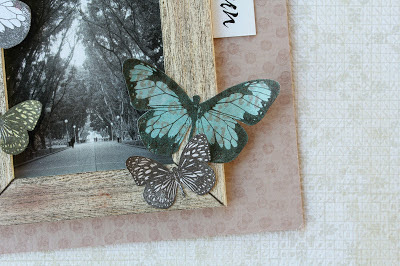 I then stamped it again and used this one as a base for the frame. A smidge of Distress Ink: Antique Linen and Forest Moss, to colour the insidey bit and then more Distress Ink: Frayed Burlap and Vintage Photo to colour the frame. The second card was made the other way around... so I stamped the frame once in Jet Black Archival and used the piece that I had gutted out of the first card frame to stamp onto with the sentiment which is also from the Full Bloom Vol 2. I used the same DI's to colour the frame and the insert was coloured with Antique Linen and Seedless Preserves DI's. The florals are stamped and shaped as before and they too are coloured with the same DI's as the wordy bit. 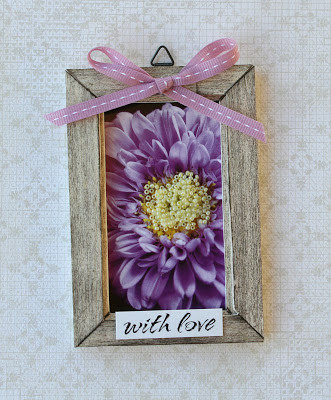 Wow - so there you go... lots of amazing ideas using the Wooden Frame stamp! Hope you enjoyed the inspiration!